In 2018, the increased influence of global risks and trends reflects a world that is financially, socially, politically, environmentally, and technologically divided. Regulation has been focused on the reporting of compliance with business ethics, climate change, and impact investing products. 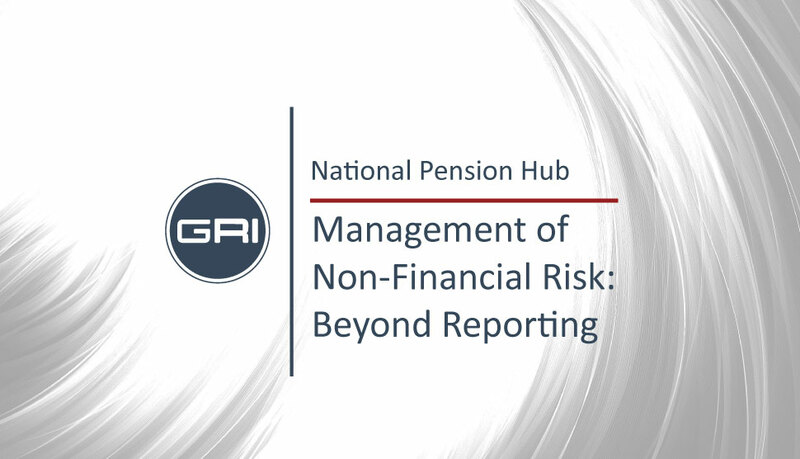 Management of non-financial risk must move beyond compliance to be integrated into organizations strategy. A discussion with Neil Beaumont, Senior Managing Director & Chief Financial and Risk Officer, Canada Pension Plan Investment Board (CPPIB), Steven Richards, Managing Director, Head of Enterprise Risk, CPPIB, and Lois Tullo, Executive in Residence, GRI, about how non-financial risk is addressed.